The neighborhood you purchase your home in is just as important as the actual home you purchase. In fact, in many cases, the location is more important to your happiness and comfort than the actual house. Here are a few tips that will help you find new homes for sale Sunnyvale, CA in the right neighborhood. You should define the perfect neighborhood to make your search for the right home easier. Some factors you should consider include the size of your family, the type of home you want, your desired commute time, and whether you want to be able to visit stores and restaurants by foot. You should also think about the things you consider undesirable in a neighborhood, such as excessive noise late at night. Once you’ve found a few neighborhoods that you’re interested in, you should dig up information. Some relevant information includes crime statistics, school information, tourist attractions, and nearby parks. The best way to obtain relevant information about a neighborhood is by contacting the neighborhood association. The response you receive will also give you a good idea of whether the neighborhood association will be a good resource for you in the possible future. SummerHill Home’s home community Arques Place is located in Sunnyvale’s East Arques and N. Fair Oaks. It’s located in close proximity to great schools, shops, and entertainment. Arques Place is over 50% sold out but new homes are still available to those looking to relocate to this bright and cheerful part of the city. 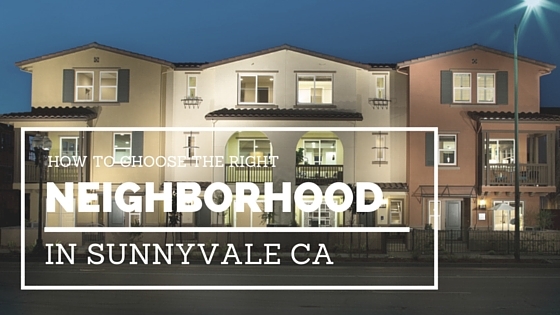 For more information on new homes for sale in Sunnyvale click or call: summerhillhomes.com or (925) 244-7500.